When Practice management software starts, password and username are needed to login. Only employee with proper name and password will be granted to work in software. � From this moment employee will be able to use this software. � You can perform search through employees database, and sort results by selecting proper value from Sort by dropdown list. 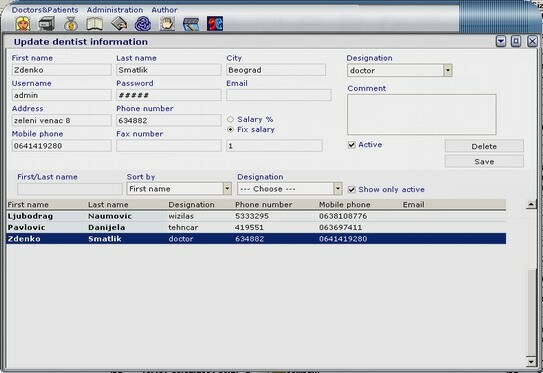 � To change employee data, just select employee in list, change data, and then press 'Save' button. � IMPORTANT: Logged employee can't change other employees username - password.